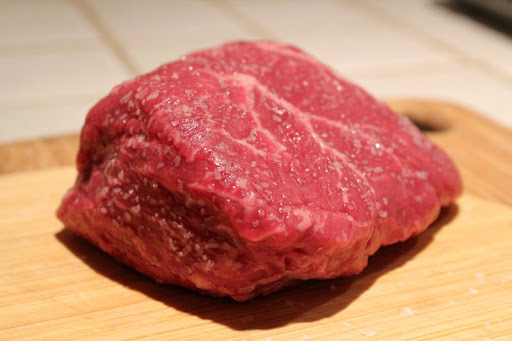 It has been over four years since we posted our first "Uncommon Cuts" post on Bavette steak. 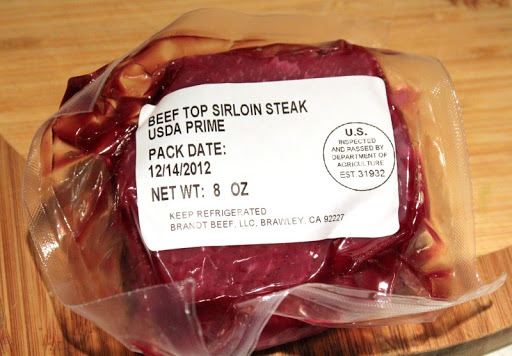 While Bavette remains our favorite, we like variety and we get a few other less common cuts from Brandt Beef, the meat purveyor at our local farmers market. 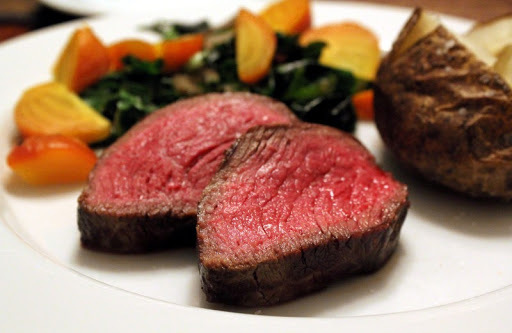 Pictured above is one of those cuts - a Baseball steak - cooked, resting and waiting to be eaten. After rubbing it with a bit of oil, it gets cooked in a hot frying pan for about 15 minutes - turning it every 3 minutes or so. 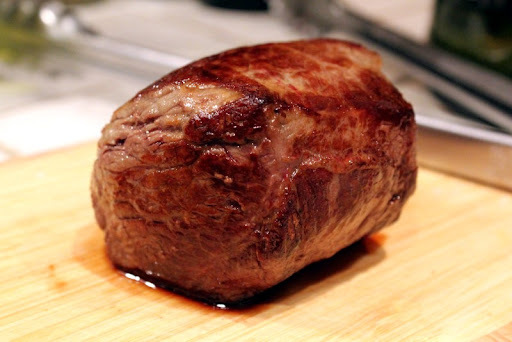 The result is a beautiful piece of meat, with a bit of crust on the outside and a nice medium rare center. Good stuff! It's very beautiful from the outside, but even more beautiful inside! Thanks, Dennis! A good steak is definitely a thing of beauty. Looks fantastic. The waiting part is the hardest part. Yep - once it is resting, it takes a lot of willpower to keep from slicing in before it is ready.